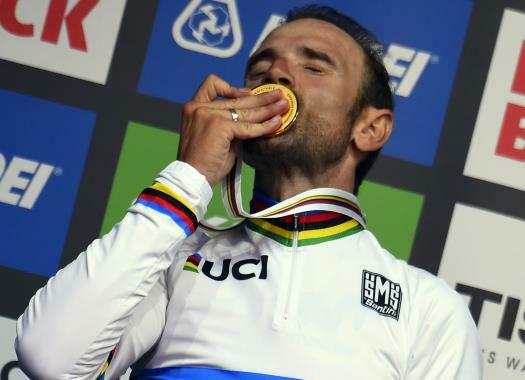 Alejandro Valverde (Movistar) is already preparing to show his rainbow jersey at the 2019 season, but he is skipping an important race. The World Champion will appear at the Tour of Flanders for the first time in 2019. "I have to be at the start in Flanders and even more wearing the world champion jersey," said the rider to Spanish newspaper El Pais. "I think I owe it to the fans and to myself, but I am also aware that you have to know the race very well. "I can do better, worse, blow up, suffer a puncture." Despite Movistar still hasn't decided about a shared leadership at the Tour de France, Valverde stated that he will not start in the race but prefers to be at the Giro d'Italia and the Vuelta a España. "The Tour is the best race, I know that but I don't think I have the obligation to go," the Spaniard explained. "They will want me there, for sure, but you also have to see and do what suits you better and what doesn't suit you at all. I don't enjoy the Tour de France." Valverde still doesn't have plans to retire from cycling professionally. "I don't know," he explained. "Do you know how I think I will retire? I will say one day: 'this is it, I have covered a long good time on cycling. "I think it is time, what need do you have of keeping here suffering, even if you enjoy it, but suffering?'"